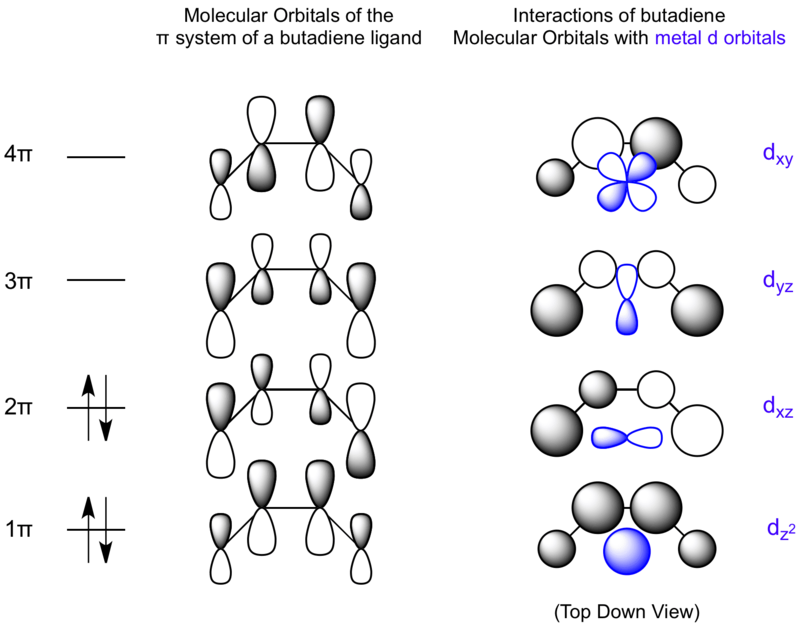 The bonding of butadiene involves matching the metal d orbitals to the π system configuration that contains the correct symmetry for bonding. The two lower energy MOs can behave as donors to the metal; the lowest a σ donor, the HOMO a π donor. The two highest MOs can accept electron density from the metal. The LUMO is a π acceptor, the highest energy MO a σ acceptor.